I have now been in Edmonton for over one week, and as you can tell, Baby Irvine has still not made her appearance. I’m now over 38 weeks pregnant, and getting extremely antsy. I came up a week earlier then I wanted to in fear that she would arrive earlier, but at the moment, baby girl seems content exactly where she is. Part of me is glad she is still growing and developing inside me, because honestly, my body is the best thing for her. It is circulating her blood, and giving it the nutrition it needs, because from the moment she is born, she will have to fight to be here. The other part of me just wants her to be here already (it’s totally a catch 22). It’s been a very long pregnancy in my mind, and an emotional roller-coaster at that. This past week in particular has been a lot tougher than I thought it would be. I’m up here in Edmonton essentially on my own, away from my husband, family and friends – not a way to be spending the last few days/weeks being pregnant. Nick is staying in Calgary for as long as possible to work as much as he can before our daughter is born, so he can be here longer when she comes. I know it’s the right decision, but at this very moment, it’s not one that I like. When I pictured how things would go when I got pregnant, I definitely did not have this in mind. It was also Easter Weekend, a time you’re supposed to spend time with family, but obviously life had different plans. My cousin got married down in Cardston on Saturday, and up until about a month ago, I fully intended on attending. However, with the high chance of an early delivery, it just became too risky for the baby for me to be all the way down in Cardston (a good 5 hour drive), and be that far from Edmonton (my sweet grandma told me that she would be very angry if I came to the wedding lol). Thankfully my parents text me a couple pictures throughout the day to help me feel included and a part of the day. So what have I been up too? Well I came up Monday morning (April 14th), and headed straight to meet my new OB – Dr. Wong. I definitely like him a lot more than my Calgary OB, and he was happy with how everything was progressing. I was measuring at 41 weeks thanks to her size and extra amniotic fluid levels. He also checked and said I was 1cm dilated, but baby was still very high. Later I meet up with my friend Bev, who I’ve now been calling my “Edmonton Husband”. She has been staying with me at the Ronald McDonald house at night just in case I go into labour. I officially moved into the Ronald McDonald on Tuesday, and had my first dinner there. Here at the Ronald McDonald, they have this program called “Home for Dinner” in which volunteer groups come in almost every night, and cook dinner for the families staying here. Let’s just say that I have been eating VERY well, and there is always food to eat. On Wednesday (April 16) I went for a Fetal Non Stress Test just to see and check on baby. Basically baby’s heart rate was excellent (when she wasn’t moving and making lots of noises), and no signs of contractions. Bev had the day off on Good Friday, so we went to the theater and saw a movie (Divergent). After we did a little shopping to stock up on a few supplies and purchase a fan for my hospital bag (a “must have” according to my sister). On Sunday I went to church with a cousin of mine and have since been spending my days trying to keep busy and taking lots of naps. Last week, a few days before I came up to Edmonton, I decided to take some important girls out for tea, frozen yogurt and then back to my place for a movie night. It was a chance to say a final goodbye, and a thank you for all they’ve done for me the last few months. We started out at the Dove’s Nest for tea and sandwiches. We then headed over to Tutti Frutti for dessert, and then back to my place for treats and watched the second Hunger Games movie. In all, it was an awesome day, and I’m not sure I could have asked for a better send off. How far along? 36 weeks (That’s 9 months! We’re in the home stretch). 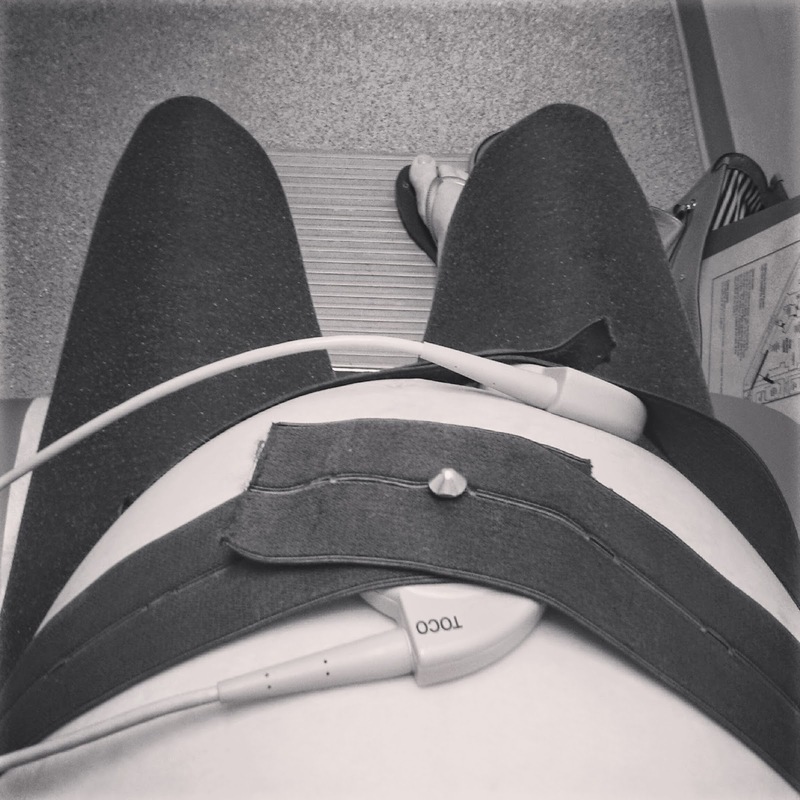 Ultrasound/ECHO/Dr Appt updates: It’s been quite a crazy few weeks. With my high amniotic levels they have asked that I relocate to Edmonton a week earlier than originally planned as a precaution. So instead of going up April 21, they now want me to go up April 14. At one point they were even suggesting April 8 (so this week) if my levels continued to rise to a crazy level, but at my last ultrasound my levels showed to be leveling off (they still rose, but only by a little). Basically I now have one last ultrasound and OB appointment this week here in Calgary, and then my care gets transferred up to Edmonton. Baby girl is measuring at about 6lbs, and I’m measuring at 38 weeks. 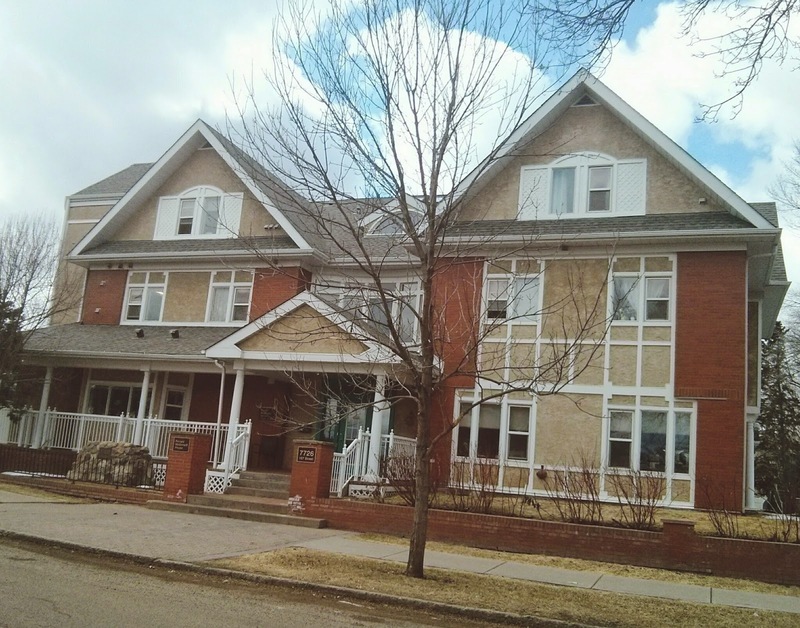 Last Friday the Ronald McDonald House called and confirmed they can get us in one the 14th, which is a huge relief. We had backup plans in place in case we couldn’t get in right away, but it’s great knowing we don’t have to utilize them. Maternity clothes? Yup. Even some of my “maternity” clothing are starting to get a little tight. Stretch marks? Yeah, there are a few, but I’m just going to apply lots of BioOil and lotion in hopes that after I deliver they will fade. Sleep: Mostly good thanks to some essential oils, but I’m still prone to a bad night’s sleep here and there. Best moment lately: There’s been a few! I finished up my last day of work last Friday, celebrated our 2nd wedding anniversary, we upgraded to an newer SUV that’s better suited for a baby, and I have begun my busy week of coffee dates and catch up with friends before I leave for Edmonton. Miss Anything? Regular clothes, my waist line, walking up the stairs without losing my breath, eating without getting heartburn, standing for 10 minutes without my legs hurting, sitting comfortably, etc. Movement: I will say that she’s calmed down a little on the movement front, but her kicks and punches have become a little more forceful and there’s been a few painful kicks. Food cravings: Anything that won’t give me heartburn. Ice cream and milk tend to be the best. Anything making you queasy or sick: Sausage (Regular and Garlic). Labor Signs: Nope, but because it’s the last week before I head up to Edmonton, I’ve definitely become very paranoid about going into labour early and overanalyze every little weird thing my body does. Symptoms: Heartburn, snoring at night, gassy, swelling, lots of bathroom breaks, and it’s getting increasingly harder to bend over or get up. Belly Button in or out? Flat. Nick thinks it’s starting to look a little weird. Wedding rings on or off? On, but I can’t get them off. I talked to my friend who’s a nurse on a labour & delivery unit here in Calgary, and she said it’s not really a big deal unless they are hurting or cutting of circulation – which they are not. Phew (for now…). Happy or Moody most of the time: So many emotions! Mostly happy and excited that she’s almost here, but a single song can set off the tear works. For some reason I found I was extra emotional during my car rides home at my last week of work. I am so not looking forward to leaving next week and being away from all my friends and family, and I know it’s going to very upsetting when Nick and I have to say goodbye, as he’s not joining me in Edmonton until I go into labour as he wants to work as much as he can now before the baby comes so he can be there a lot more after she is born. For now I’m just going to enjoy and soak in every last moment of this week. Looking forward to: A get together that I’ve planned for later this week with some important girls in my life to celebrate the support that they’ve shown me. It’s a chance to have one last girl’s afternoon for a while as I’m not sure how long I’ll be gone for. Last Sunday I leaned over to Nick during church and asked him if he was excited about our 2 year anniversary that was coming up. 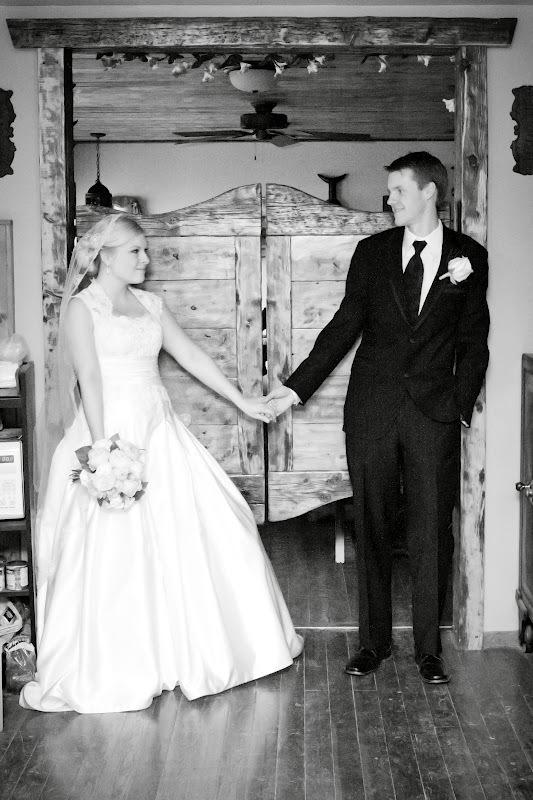 He said “Really, 2 years?” and I asked him how long he feels like we’ve been married for. He answered with 10 lol. We have been together for over 6 years, and we’ve known each other since grade 10, so in essence, I guess it has been 10 years now. It’s definitely starting to get harder and harder to remember what life was like before Nick, but that’s okay because I honestly wouldn’t have it any other way. Our first year of marriage flew by. It was full of tons of fun and of many firsts for us. We went to Mexico, got possession of our first home, moved in together, Nick started school, and we got sealed in the Calgary Temple. I think our biggest trial was dealing with the stress of Nick going back to school in a condensed fast track program while working as many hours possible as an EMT (which meant that there were periods of weeks that we only saw each other for an hour or two here and there). It was a definite learning curve learning to make most of the time that we did get to be with each other and know that this was just a short term situation for a long term benefit. There have been moments over the past few months where I find myself wishing I could go back in time and relive that first year, because it was honestly one of the best years we’ve had. We really didn’t have any worries, and life was just grand and simple in our eyes. Our second year has been a little different to say the least, both good and bad. We celebrated some major milestones like Nick finishing school, passing the ACP exam, and him getting a Paramedic position within Calgary EMS. We also made the first step in expanding our family and got pregnant, but that’s where things got a little difficult and not so happy for us. We were elated when we found out that we were expecting a baby, but it was soon followed by some harsh news. Let the worries, fears and anxiety set in. It definitely challenged and rocked our relationship a little, but if anything, it showed us that together, we are so much stronger. The moments that Nick was weaker (I’m glad to say there have only been a few), I was the strong and positive one, and the MANY weak moments that I experienced, Nick was the comforting and strong support that I needed. I know we are headed down a very rough road this year, but I know we’ll be that much stronger because of it. The next year of our marriage will definitely test us, but I’m not worried in the slightest bit. We will be celebrating the birth of our daughter in less than a month, learning how to be parents together and providing the best care possible to this special little girl, adjust to so many changes and become stronger as a couple. And while yes, we’ll experience some extreme sadness at times, I’m sure that we’ll experience much more happiness then we’ll ever know.